I have a toilet that is done flushing by the time I tighten my belt. When I turn around all I see is what I’m guessing is a happy toilet bowl, empty of all else but glistening H2O ready and waiting for whatever you can drop into it, even a bucket of golf balls if you’re courageous enough to try. It’s a cliche of course, but there are in fact some simple pleasures that cost relatively little yet offer a long term relaxing feeling of happiness that is difficult to find elsewhere. Sometimes discovering a simple pleasure comes later in life. For example, I didn’t discover the wonders of pomegranates and avocados, or learn how to spell them, until just a few years ago. However, I’m not here to talk about fruit. I’m here to talk about toilets that flush. The difference between the toilet I have and 90% of all other household toilets? It cost around $200. 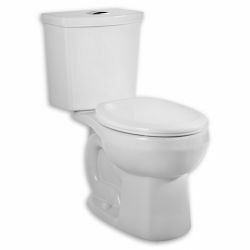 Do you know what you get for an extra $120 when you buy a toilet? You get a toilet that flushes like an alien sucking machine designed to empty all of our oceans to drive their fusion reactors so they can get to the next planet with oceans. You got it: my toilet is just like an alien invasion, except instead of sucking oceans out into space, it flushes golf balls. Another nice feature is that my toilet comes with Big Flush and Little Flush, the Flush family kids. Little flush uses half the water that big flush does, and I’m guessing that when it comes to toilets, I don’t have to go into the details of how you’d go about deciding whether to use big flush or little flush. However, just in case I’m guessing wrong, here’s a short story familiar to many that might help. It was a night like none other, or maybe like many others, but that never seems to matter the morning after. Pop corn, ice cream, a bag of macadamia nuts and a huge kale salad, then perhaps a box of random gluten free cookies all the while keeping one’s self lubricated via tequila and absinthe. Your head hurts and your bowels demand attention. After you sit down and proceed to lose five pounds of unwanted weight, a thought pops unbidden into that painful thing on top of your neck: how will you make it back to your bed without damaging yourself along the way? It’s times like this that you do not want to deal with a toilet that needs extra flushes. Oh, that little guy, that little guy that didn’t go down the drain? Makes me flush again whilst grimacing from hangover morning pain? Did the second flush do it’s job, will I ever really know? Guess I’ll know again soon enough the next time I gotta go. No, you do NOT want to deal with this. That’s when having a toilet that never needs an extra flush, a toilet that’s done flushing by the time you stand up, is so nice. It allows your mind to wander to more important things, like, does gatorade, green tea, and a shot of mezcal really take away the pain? Plumbing is rarely appreciated, in a home or in our bodies, until it breaks, and it’s nearly impossible to appreciate a toilet that can flush golf balls until you fill it with golf balls. Never needs more than one flush! If you want a toilet that flushes like a ping pong ball caught in a gravity well, this is the toilet for you. This is the first toilet that's ever made me smile.